A Rookwood pottery sculpted black iris glaze "Dancer" vase decorated by Harriet Wilcox, impressed firm's mark, artist's initials, date code and maintains affixed label from the Cleveland Museum of Art.. Illustrated in "From Our Native Clay: Art Pottery from the collection of the American Ceramics Society," ed. Martin Eidelberg, New York, 1987, pg. 58. 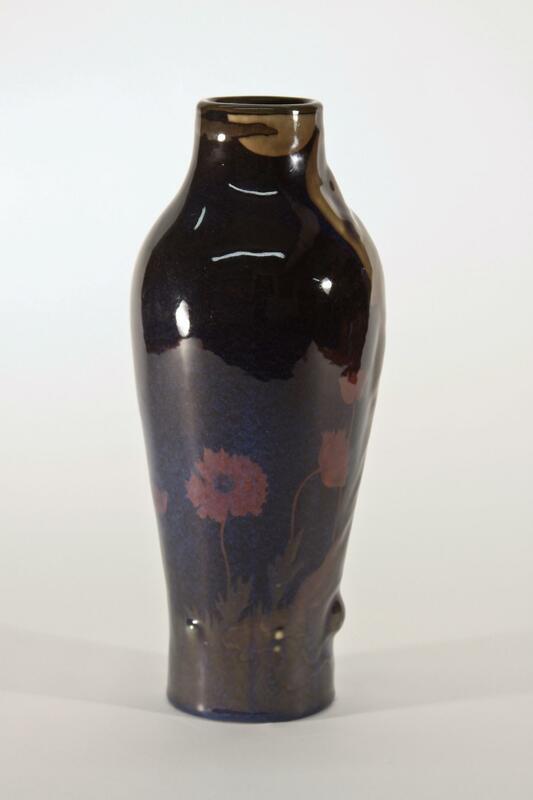 Exhibited: Cleveland Museum of Art, 1919. 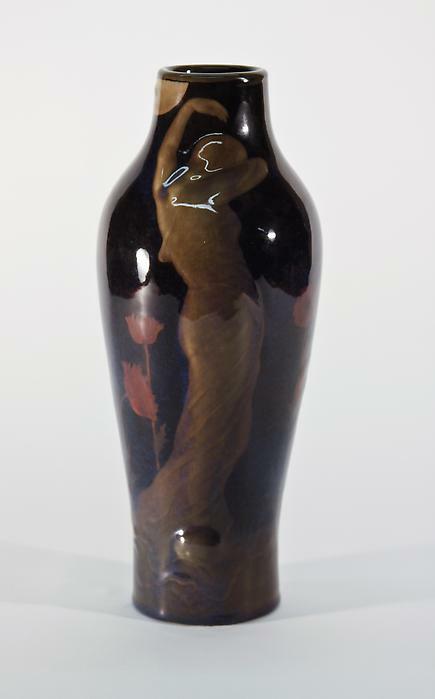 A Rookwood pottery sculpted black iris glaze "Dancer" vase decorated by Harriet Wilcox, impressed firm's mark, artist's initials, date code and maintains affixed label from the Cleveland Museum of Art.